Come out and help to clean up Crombie Park in Toronto and enjoy a free pancake breakfast. Thanks to Transline Group (Canada), Kyle King from Groundhog Landscaping and Raffy Hanimyan from Elite Concrete received free tickets to a Toronto FC game. 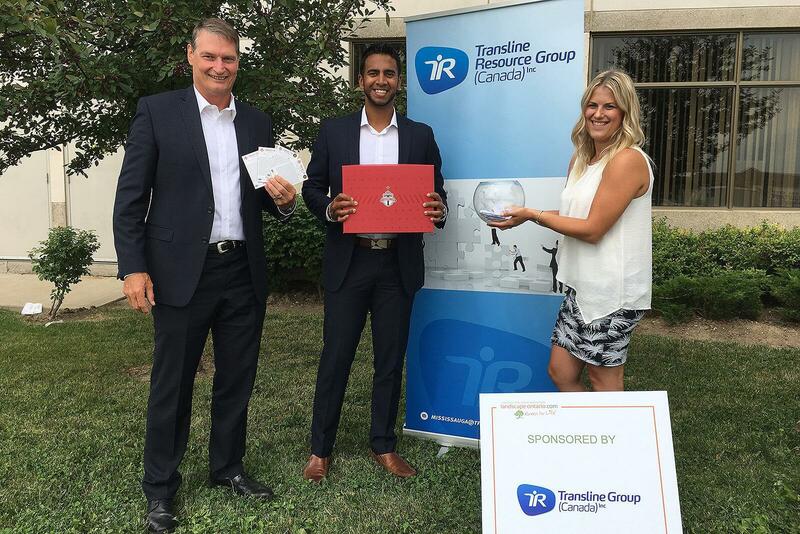 Pictured are Angus Lloyd, Stefan Rambaran and Lindsay Lockwood of Transline, drawing winners from players in the recent Toronto Chapter Golf Tournament. Transline was a tournament sponsor, and looks forward to participating next year.